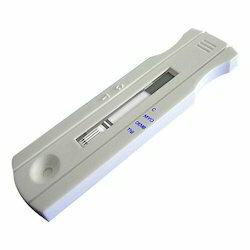 Manufacturer of a wide range of products which include 3 in 1 cardiac marker. We have gained huge acceptance as a major firm of top quality 3 in 1 Cardiac Marker. Widely demanded for its improved sensitivity, the offered test kit is a three in one device that can identify multiple release profiles. The cassettes and pipette are developed using the latest manufacturing technology with compliance to set industry standards. Further, our prestigious clients can order it from us at a market leading price.